When you combine the genius producer behind Emeli Sande's album, and the soul voice of the moment you know you're in for a treat. 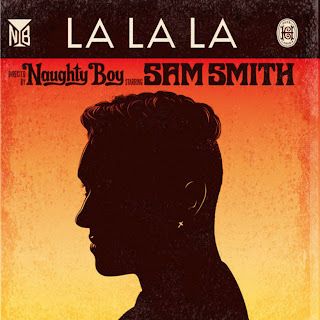 And the new single from Naughty Boy and Sam Smith, La La La, doesn't disappoint. A dreamstep soul track with an irristible swagger, it orbits around around a naive vocal sample - much like Tom's Diner by Suzanne Vega. But here the "la la la" refrain is woven into the narrative, as Smith lashes out at an irritating, preachy friend (or politician?) "I'm covering my ears like a kid. Your words mean nothing. I go La La La". The song is the second release from Naughty Boy's upcoming Hotel Cabana project - the first being Wonder featuring Emeli Sande. On the basis of those two tracks alone, I'd wager it'll be one of the standout UK soul albums of 2013.